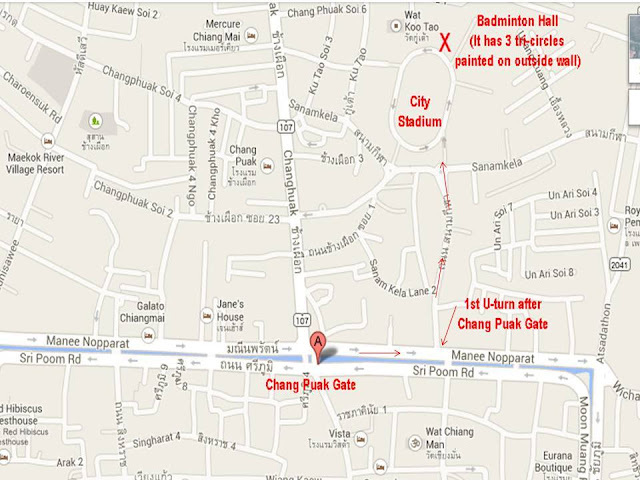 There's heaps of places to play in Chiang Mai but if you're a farang you might find it hard to fit in so we suggest you come along and join our friendly recreational badminton group consisting of both locals and farang. There's a shop there where you can hire a racquet but its rarely open these days so we suggest you purchase one for yourself beforehand or ask in the Facebook group if someone will bring a spare one for your to borrow. Sports World in Kad Suan Kaew is a good place to find racquets and other gear at reasonable prices.